A charming interpretation of the classic Alma, the Alma BB is delightfully compact. This Louis Vuitton Indian Rose (or Rose Indien, if you're French) is a beautiful bright pink embossed Vernis with black glazing. This is Epi Electric Sobe Clutch in black is a sharp, modern look in glossy Epi leather.This dynamic look is ideal for evening, by Louis Vuitton! 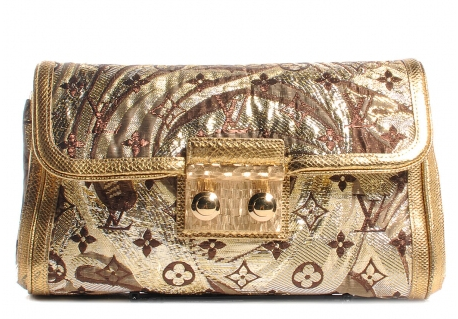 This Louis Vuitton Brocade Thalie Clutch in gold is made of Shimmering textile in a Metalic Gold with brown and silver, brand new never been used. 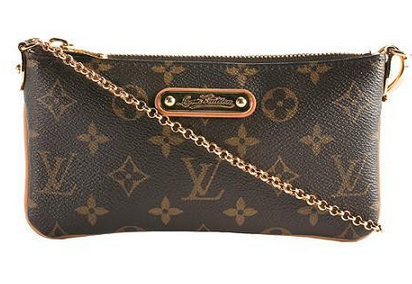 This chic pochette is crafted of Louis Vuitton monogram coated canvas with vachetta cowhide leather trim and a top wrist chain with a detachable end that will attach to your Louis Vuitton handbag. A charming interpretation of the classic Alma, the Alma BB is delightfully compact. This Alma BB also comes with a shoulder strap to wear it on your shoulder or across your body. 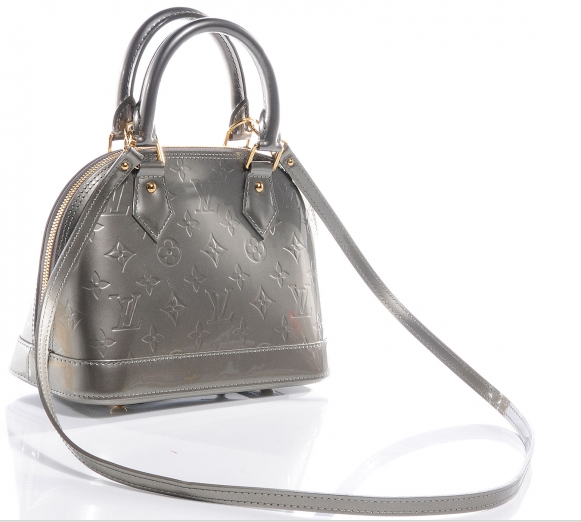 In this rare sparkling Gris Art Deco Vernis color, your outfit is sure to shine!